The new jail project involved constructing a new 49,000 s.f. full-service 158-bed jail and a new Sheriff’s Office. The project increased the county’s inmate capacity from 32 beds, more than quadrupling the capacity of the current jail. The project also includes constructing an 8,000 s.f. storage building and significant road infrastructure. Located in a rural area, the project involved installation and extension of city utilities and roads to access the new facility. Sheriff’s Department Administrative Services include administrative offices, training and conference rooms, locker rooms, public lobby and waiting area. 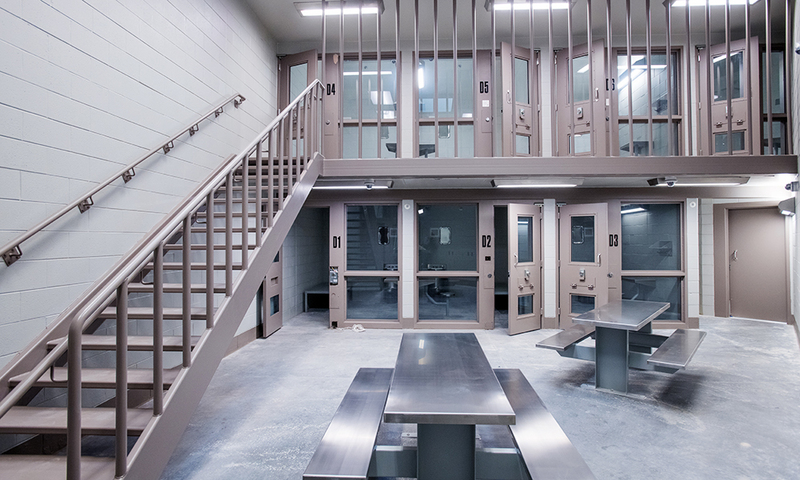 Jail Services include full-service kitchen, laundry, intake and booking, detox holding area, housing units, central control room with remote control at booking, medical, visitation and secure conference areas.